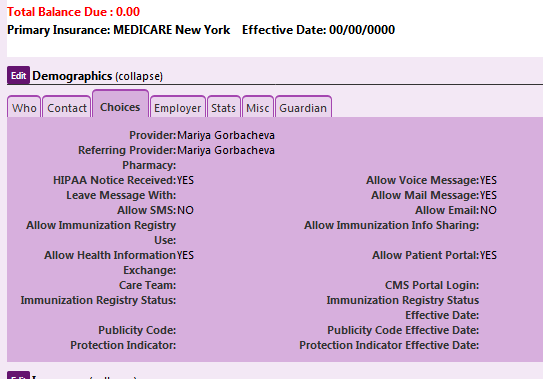 After upgrade to latest Version Number: v5.0.1 (6), we experiencing the problem with medicare claims, submitted with diabetes icd 10 codes. We had this problem before, but our clearing house Office Ally did mapping for us, and we had no problems for last three years. 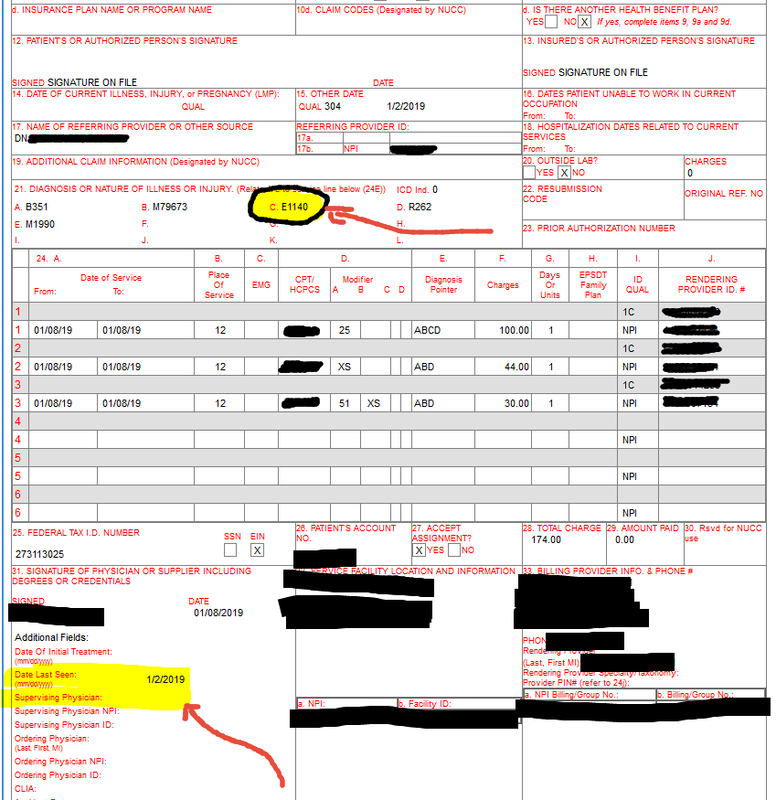 We just tipped DLS 02/15/2019 in Additional Notes in Miscellaneous Billing Options for HCFA-1500 section, and all sections of claim was field with requested information. After upgrade, the problem started again, and we contacted Office Ally to help with mapping. But they recommended to try resolve the problem in Open EMR site. 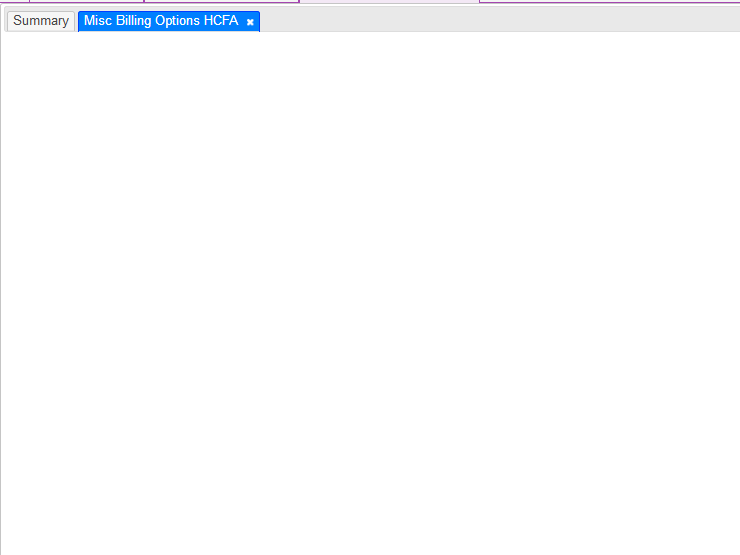 In Miscellaneous Billing Options section , there is box 15, where we can show last seen date by the primary provider, but in box 17 Provider Qualifier, when we selecting referring provider, its not showing in claim and also no chance to select in Box 17 provider selection. If you can check the link I shared, you can see this is the same problem we try to resolve 2 years ago. Oh, well you don’t need a code fix then. Sounds like you might need to clear the cache on your browser so it’s not loading the old script. When I changing to old script back, its loads fine again. I did twice, and same problem again. After cleaned cash, did every step again. Same problem. Yes this is actually what we looking for. Can you please send me updated date_qualifier_options.php file, I will replace its with original one. I have checked all 3 EMR systems in our office, and all the same, there is no selection of the doctors in Box17, only current Provider. Is there is any setting needs to be changed, to generate this process. The referring provider needs to be assigned automatically, from patient demographics, without selection. 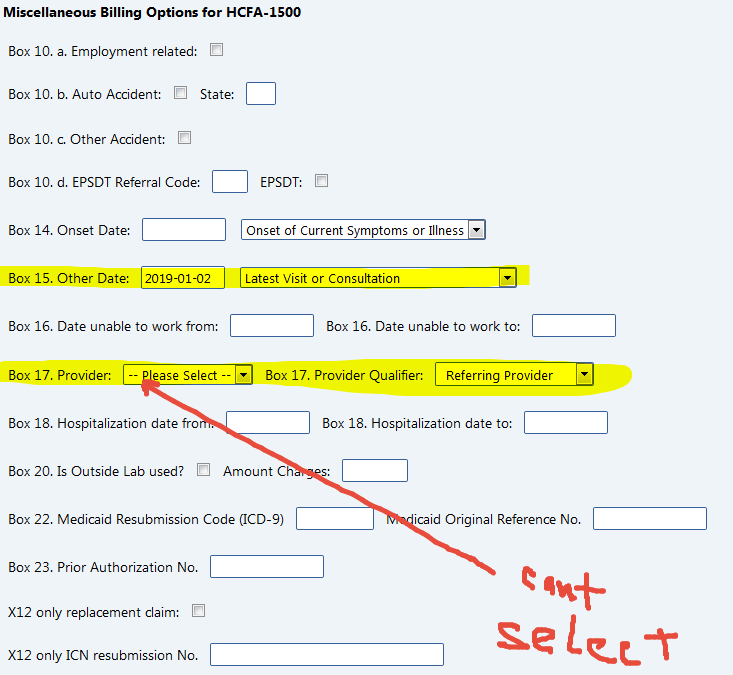 If the referring provider selected in patient demographic section, it needs to be shown in Box 17, if the day in box 15 selected. When Office Ally doing mapping for our claims, if the date last seen assigned, referring doctor name and NPI automatically generating in field 17.